With the introduction of Psytrance Guide, I get asked a lot of question and most of them repeat. 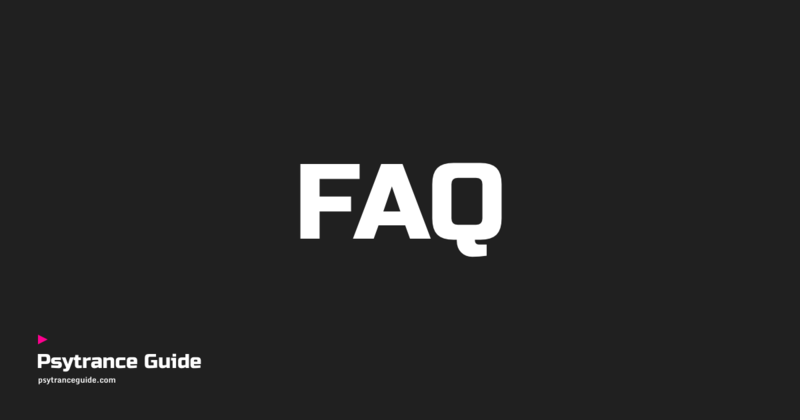 To make things easier both for you and myself, I’ll put answers to some of the most frequently asked questions here. This section will be updated over time, so please come back later as well. 1. What the logic behind all genre names? Since most of those subgenres have no “official” names, everything on that site is a subject of my personal vision and experience in the Psy scene. However, I did my best and researched a bunch of niche community websites to make sure that I’m not alone in that thinking, and I will keep continuing making it more accurate. 2. Why do you call Psychedelic and Psytrance different subgenres? Isn’t it is the same? Are you mad? Well, it’s just the way I’ve been tagging my DJ collection for years: all 144—148 BPM I call either “Psychedelic” or “Uptempo Psy” (e. g. like some tracks of Braincell or Tristan), and 138—142 BPM I call simply “Psytrance” (e. g. like some tracks of Relativ or Sonic Species). I know it might sound confusing, but somehow it feels right to me. If you have a better suggestion, feel free to contribute. 3. I’m an artist and I don’t see my name mentioned there. Do you think I’m worth it?! This guide is a styles overview with a couple of references for those who’d like to find more, not A to Z catalogue of artists or labels. Sorry if I wasn’t clear about that in the first place. I’ll definitely add more names over time, but there’s no space to mention everyone, it’s not the site purpose. PsyDB and Discogs work just fine with that. 4. I’m a label representative and you mentioned our label name only in Psytrance while we also release Full-on, Psychedelic, and Dark Psy. Can you add our label to all of these genres to make it more accurate? No. Most labels release music in few different subgenres, some even in 4-5. Mentioning the same label multiple times would create too many duplicated links, and I wouldn’t like to do that. However, I can move your label from one subgenre to another one or just don’t mention it at all, if you want to. 5. Artists mentioned in the Psytrance aren’t accurate, Lyktum, Vertical Mode, Lifeforms, Relativ etc. are all Progressive! Not really. 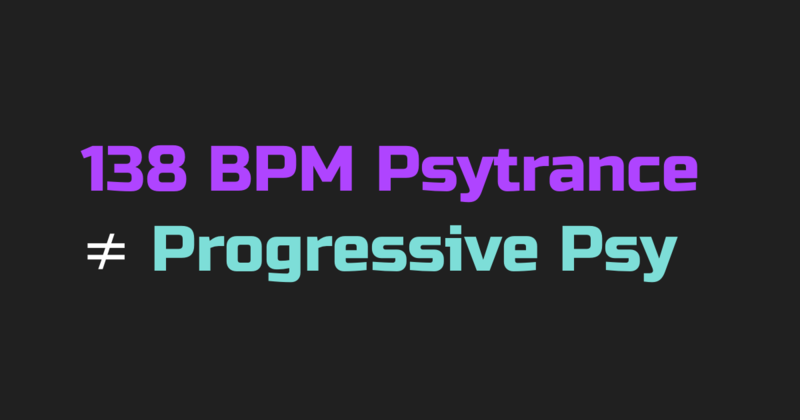 Please take a read my thoughts on Progressive music, or why Progressive Psy tracks you know are probably not Progressive at all. 6. Where is 200+ BPM Psycore? At this moment, Psycore is mentioned in the Hi-Tech section. I know it’s not quite correct, so I’ll definitely separate these two in the near future. 7. Where is Dark Progressive? Dark Progressive aka Zenonsque is currently mentioned in the Minimal Psy section, however, adding it as a separate subgenre is on my future plans list. 8. I don’t like the way you named all these genres! I’m sorry to hear that. I’m open for suggestions and willing to make this guide more accurate, so if you have some constructive criticism feel free to drop me a line. 9. I would like to propose a correction / I have an idea how to make the guide better, how can I contribute? Please send it to mail@daniellesden.com. If you are a millennial, you probably remember the Ishkur’s Guide to Electronic Music. How awesome it was! As a music lover and a person who like when things are organised nicely, I used to spend hours on that site. I was always thinking, too bad that guide is abandoned, outdated, and hence no longer reflect the variety of genres we have today, in Psytrance in particular. But then I realised: I can do it myself. I can do a website that probably won’t be that cool and fancy like the Ishkur’s guide, but fun and informative enough especially for those who are new to Psytrance. 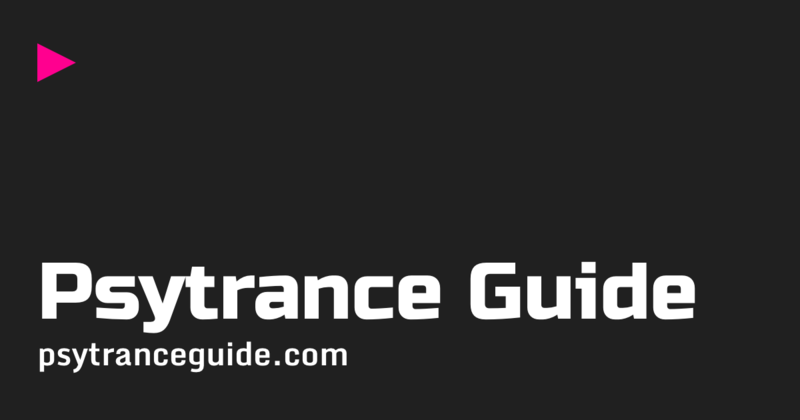 PsytranceGuide.com is the ultimate, up-to-date guide to Psytrance music genres. It covers twenty sugenres and I’m planning to keep it relevant through the time. Each subgenre includes several audio previews that have been carefully selected, a typical BPM range, a little description, and lists of some noticeable artists and labels that worth checking out if you like some particular subgenre. Keep in mind that most of those subgenres have no “official” names. Everything on that site is a subject of my personal vision and experience in the Psy scene. However, I did my best and researched a bunch of niche community websites to make sure that I’m not alone in that thinking, and I will keep continuing making it more accurate. Basically, for everyone. If you are new to Psytrance or if you have a friend whom you’d like to introduce Psytrance to, it’s a great place to discover the whole variety of music spectrum that Psytrance have today. However, if you are an experienced trancer, I’m sure you’ll find a lot of fun too, just like I did when I was making that guide. A special note to DJs. If you have a large Psytrance DJ collection, but everything from Astral Projection to Zen Mechanics tagged simply as “Psytrance”, use PsytranceGuide.com as a reference to update your ID3 tags properly. This is something I use for 12000-tracks collection and it works great. If you found a bug, or if would like to contribute in any way, or if you have some feedback or just want to say hello, don’t hesitate to drop me a line at mail@daniellesden.com. Here is the list of some upcoming changes I’m planning to make, based on your feedback. No specific dates, though. Once implemented, these changes will be moved to the version log above. Split Hi-Tech and Psycore as two separate subgenres. Probably, add Zenonsque (Psygressive, Dark Progressive) as a new subgenre. It’s currently mentioned in the Minimal Psy section. Probably, split Night Full-on and Twilight ast wo separate subgenres. Gonna gather more feedback on that.